Your files and data are growing over time. In most cases, users do not realize which files or folders that take much hard drive space on their computer. Even Windows does not provide a tool to show which folders occupy the largest space on the hard drive. You may right click on the folder and see how big is your folder. But you can’t do this one by one if you have thousands of folders. But don’t worry, Disk Savvy is all you need. 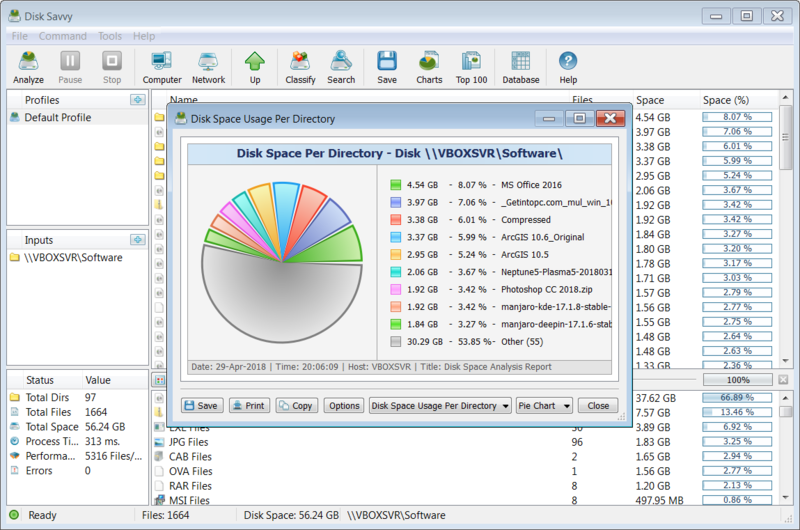 Disk Savvy is a great tool that can be used to analyze your disk in easy way. With Disk Savvy, you can get detailed information of your folders in regards of the folder size. 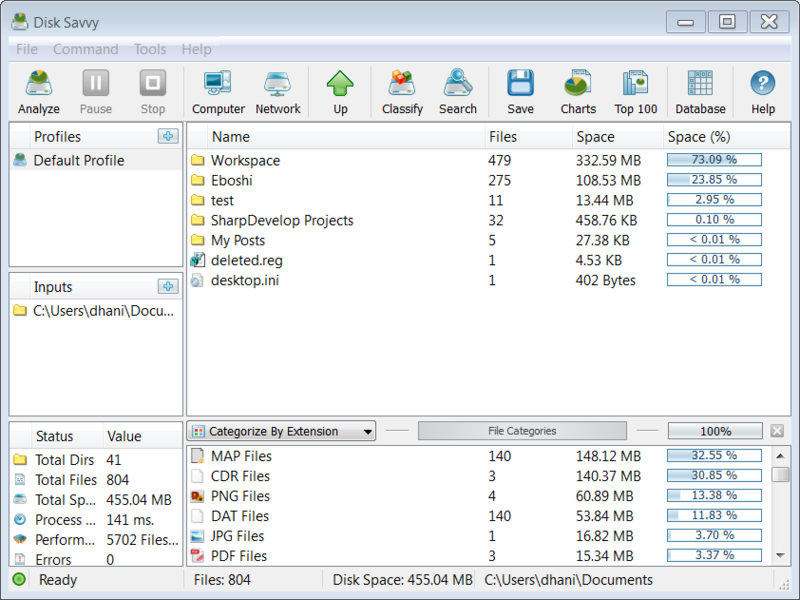 This program will display how much space are used by the folders or specific file types on your hard disk. 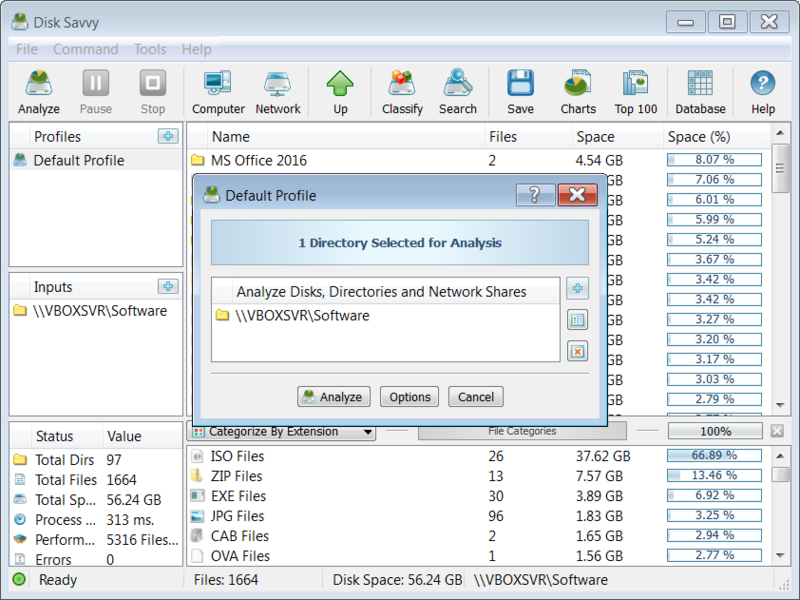 Disk Savvy also can be used to analyzed network folder. For example, you can scan your remote samba shared folder connected to your computer. It is a very convenient way to display folder and file size. Before we go too far, you may want to download the latest version of Disk Savvy. There is free version available. Get it from this link. After install, simply run it by double clicking the Disk Savvy icon. From the main window, click Analyze. It will open the additional window which we can add more folders (local or network folder) to be analyzed. Click Analyze button to start the process. In few moments, Disk Savvy will display the result. Click Options for more advanced options. You can view the disk usage in chart mode by clicking the Chart icon on the top bar. If you think you need a special software that can provide a detailed information about disk usage, Disk Savvy could be for you. It is very easy to use and very fast. The standard version is usable even without reporting database feature.